In case you missed the New Year’s celebrations, you still have the chance to celebrate the Chinese New Year at the Chinese restaurant 8 at Four Seasons Hotel Cairo at Nile Plaza. Marking the beginning of a new year on the traditional Chinese calendar, which happens to be on the 5th of February, 8 restaurant is creating a series of unforgettable festivities that will shine a light on the beauty of Chinese culture. All prepped for the occasion, the restaurant boasts a setting that comprises of various elements that are prominent in Chinese culture; from the famous paper lanterns and fans to firecrackers and peach blossoms. Mandarins and kumquats, which symbolise wealth and good fortune, also feature in the setting. The first day of 8 restaurant celebration (5th of February) sees two musicians taking the stage to play traditional Chinese music on ruan (Chinese lute), and guzheng, while a playlist of all the classic Chinese New Year songs will be playing all night long. 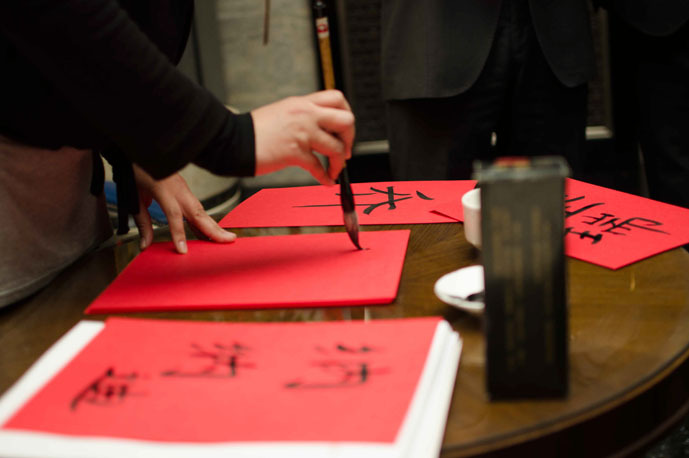 The celebration includes various interesting activities; traditional Chinese paper cutting, calligrapher scribing guests’ namesin Chinese, or make you a personalised pair of chopsticks to keep as a souvenir of a unique experience. To capture the Spring Festival’s spirit of joy and prosperity, the restaurant’s talented Chinese culinary team havecreated an extraordinary, authentic six-course menu for an incomparable dinner with family and friends overlooking incredible Nile views until February 13th. The exquisite six-course menu is made up of a wide range of original Chinese dishes that offer a true gastronomic journey and cultural experience, including Steamed Lobster and Shrimp Dumpling. Other delicacies include Sichuan Soup with Seafood, Peking Duck, and a main course of Custard Flavoured King Prawns with Handmade Wok Fried Noodles.